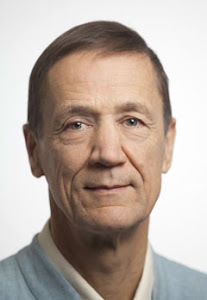 Ian Gawler: Out on a Limb: Ian Gawler Blog: Is prayer scientific? Many people believe in prayer. Many people have a positive personal experience of prayer and say it has significantly transformed some aspect of their own life or that of someone close to them. Many people even say prayer saved their life. But what do the scientists say? What research is there to support the power of prayer? Let us start with a definition. Prayer is defined in the Oxford dictionary as "a solemn request to God or an object of worship; a supplication, thanksgiving, or other mental act addressed to God" and as " a formula or form of words used in praying" - so in the literal English sense, God figures prominently in prayer. Of course, prayer features prominently in all the great religious traditions. To be clear, prayer in relation to healing falls into one of two categories: intercessory prayer, which involves praying for the benefit of another person; or personal prayer, which involves praying for oneself. When it comes to scientifically validating the healing potential of prayer, nearly all the published research focuses upon intercessory prayer (IP). Much excitement was created in the research and wider communities in 1988 when the cardiologist and committed Christian, Randolph Byrd published a landmark paper demonstrating the benefits of IP for people recovering in a coronary care unit (CCU). Working in the San Francisco General Hospital, Dr Byrd used a prospective, randomised, double blind protocol making the study quite sound from a scientific point of view. Practising "born again" Christians from a range of faiths were assigned to pray for people they never met, and who did not know if they were being prayed for or not. They were instructed to pray daily for the rapid recovery of those assigned to them; and for the prevention of any complications and death, in addition to other areas of prayer they believed to be beneficial to the patient. The results demonstrated that those prayed for had significantly fewer complications and required less medication. Mortality was the same for those prayed for and the controls. Byrd's much quoted study attracted a good deal of support and criticism. The Harris study in 1999, was another similarly well designed and well conducted study that showed positive benefits in reducing complications in a CCU. However, the most recent Cochrane Review (Roberts 2011) on IP sits on the fence. The Cochrane Reviews, which are given a good deal of weight in medical circles, aim to provide the evidence base on a particular subject and commonly use a process that selects for high quality research while filtering out observational and population based studies. Roberts concluded that at present there was no good quality scientific evidence IP led to positive or negative outcomes and that further research would be required to settle the matter scientifically. This enthusiasm for more research is shared by many other researchers, clinicians and members of the wider public for whom the topic of IP remains of great interest. Personal prayer involves a spectrum of inner practices which range from prayer in the traditional sense, through to the repetition of a particular prayer or the use of a mantra, and on into the use of contemplation and sitting quietly in silence. Techniques in this spectrum include praying for oneself by appealing for divine intervention or praying that the best outcome possible will flow from the present circumstances and trusting in that outcome. However, this type of prayer can also cover a range of inner practices which may produce significant cognitive shifts such as from despair to acceptance, and can include the use of visualisations and contemplation that leads to insight, clarity and the development of particular traits such as compassion and happiness. It even may be that simply sitting quietly in silence is the most powerful healing practice of all. There has been very little specific research published on the benefits of personal prayer. However, this form of inner practice overlaps with that of contemplation and meditation which have attracted a great deal of recent study. It is relatively easy to make the theoretical connections between the practices of personal prayer, contemplation and meditation. As such, it is reasonable to conject that many of the positive health benefits associated with the practice of meditation are likely to be reproduced via personal prayer. Here it is worth noting that there are currently over 7000 studies in the medical literature around the world attesting to the positive benefits of meditation in a wide range of physical and psychological conditions. The existing research on the healing benefits of prayer are scant and include both positive and negative findings. Research in this field is challenging but due to the huge public interest in it, warrants more attention. There may be particular benefits in examining the linkages between the practices of personal prayer, visualisation, contemplation and meditation and the wealth of research available and continuing in the latter fields. Pray regularly. It could transform your life. It could save your life. And if anyone offers to pray for you, thank them kindly, accept and ask them if they have any friends who will join in! 1 Dr Craig Hassed's excellent review of prayer and spirituality in his 2006 paper on Mind-body medicine, listed on the Gawler Foundation's website. 3.www.ncbi.nlm.nih.gov/corehtml/query/static/clinical.shtml. This may be the longest address known to man, but it gives you free access to Pubmed database. A search of this database has not been done for this article. 5. Wikipedia: the section on prayer is pretty good and has a lot in common with that above. The link is to prayer, then go to efficacy of prayer healing. I very often use prayer for myself and others in my daily practice and believe there is a connection with the outcomes. The value/contribution of prayer has been an interest of mine for many years and I am familiar with all but the most recent research you quoted. In the Awakening Network we have what we call a meditation list. Anyone can put people's names, issues, events, hoped for outcomes ... in this list. When Elizabeth and I, and many others meditate, we include bathing what people have entered with the grace and intentions of our meditations. While annecdotal, the results seem to indicate a direct affect of others' intentions at times. Also, when we and others have had significant health crises, we have asked people in the network to hold those involved in their hearts and meditations with the intention of producing a 'perfect outcome'. Many people, including ourselves, experienced a palpable and helpful sense of love and support that was a wonderful part of the healing processes we experienced. For me this means that whatever the well designed research is currently showing, prayer, meditation and people's intentions have an impact that can be experienced as supportive and helpful... maybe even more!